Here is my picture of the Zangebaks. Muffin size. So good! The recipe is almost exactly the same. 1 c. butter, 1 1/3 c. sugar, 1 egg, 1 Tbsp. almond extract, 2 c. flour, 1/2 tsp. baking soda, sliced almonds. Makes 12 muffin size cakes. How long do you have the cake in the oven? I did 20 minutes for mine. Oooo, those look lovely! And the recipe really is almost the same — thanks for sharing yours here! Baking time 20-25 minutes (updated the post!). I’m glad you’re posting again. It’s nice and easy, I’ll try it with fresh strawberries. Okay, you are starting to scare me! We like so many of the same things. Did you see my tweeted picture today to @chezedgar and @letwistedchef? It was essentially an almond cake but done individual style. The cake’s name is zangebak but I can’t seem to find anything on Google as to where that name comes from. I am guessing Northern European of some kinds just because of the almond. Unfortunately I didn’t see your picture. “Gebak” means “baking” (in Dutch according to Google; it’s similar to the German word for baking). No idea what “zan” means. 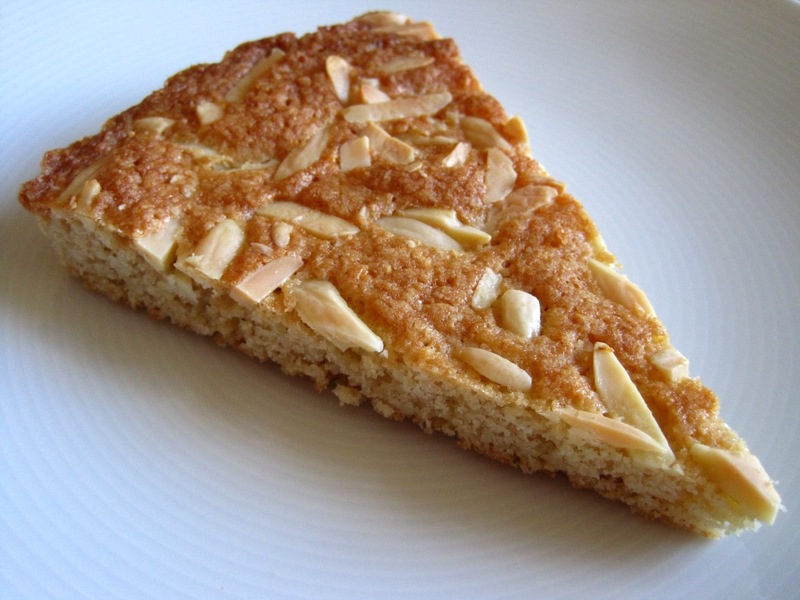 In any case, almond cake going to be good!